First released October 2017. The annual anticipation for this iconic Irish Whiskey is much greater this year due to the dramatic redesign of the label and bottle. 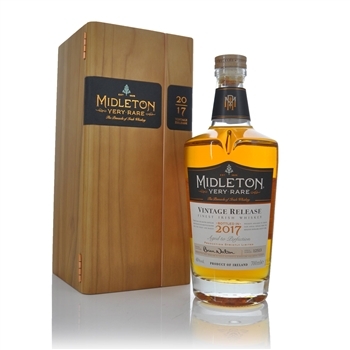 This is the biggest change to Midleton since 2013 when Brian Nation (Master Distiller) took over the reigns from Barry Crockett. Only two Master Distillers have had the privilege of preserving the legacy of the world’s most sought-after Irish Whiskey, Barry Crockett and Brian Nation. Created in 1984 by Master Distiller Emeritus Barry Crockett, Midleton Very Rare is the ultimate expression of his art and expertise. 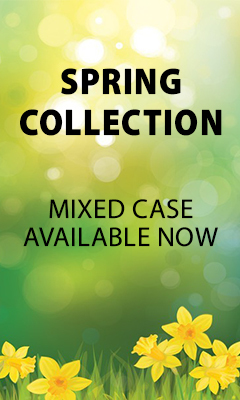 Once a year, Master Distiller, Brian Nation honours Barry’s vision by handpicking only the finest and rarest whiskeys from the Midleton Distillery warehouses and carefully blends them to create each annual vintage of Midleton Very Rare. Bloody nice! Impressive assault to your mouth and senses. Definitely worth it!